Elder Law is a relatively new legal practice area that many people may not fully understand. It is a practice area defined not so much by the types of cases it covers but by the type of client it serves. Elder Law focuses on the unique legal needs of our senior and disabled population. Elder Law encompasses a vast array of legal cases and procedures. Everything from estate planning, fair housing law, and public benefits eligibility can fall under the umbrella of Elder Law if the client to be served is senior or disabled. Many Elder Law attorneys narrow their practice area to just a few types of cases. Our office focuses primarily on qualifying our clients for Medicaid and Veteran’s benefits and special needs planning. Unlike other legal practice areas, Elder Law also employs a holistic approach and takes a client’s “non-legal” concerns into consideration as well, such as the condition of their housing, financial well-being, physical health, and quality of life. Every senior or disabled individual should consider scheduling a consultation with an Elder Law attorney. 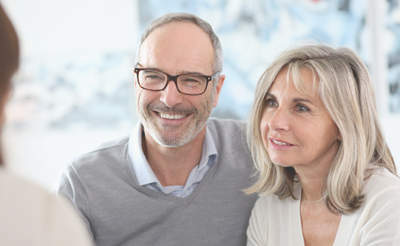 Even if they are not currently facing a legal issue they need assistance with, an Elder Law attorney can advise them on the legal issues they will likely face in the future and begin the planning process. In many cases, the type of planning that an Elder Law attorney can assist with must be implemented far in advance in order to be effective, especially when planning for long-term care. The sooner and Elder Law attorney can start that process with a client the better. When people of think of long-term care, many think only of skilled nursing care provided in a nursing home. However, the range of long-term care services is much broader than that. 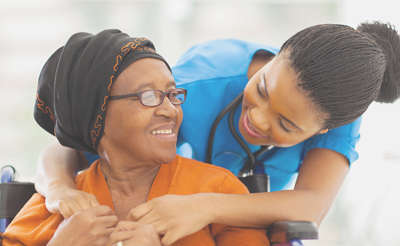 Long-term care includes medical and non-medical services for seniors or individuals with illnesses or disabilities who require assistance with their activities of daily living (ADLs), such as dressing, bathing, and toileting. Long-term care is not just provided in a facility, but can be provided in an individual’s home or in the community (depending upon the level of care required). In many cases, eligibility for benefits to cover long-term care services are only available if an individual requires the level of care that would be provided in a nursing home. It’s a common misconception that Medicare will pay for all of the long-term care services a beneficiary will require. Unfortunately, the coverage available under Medicare for long-term care is extremely limited. Generally speaking, Medicare only covers long-term care a beneficiary receives in a skilled nursing facility. If several technical requirements are met, then Medicare will cover up to 20 days of a beneficiary’s stay in a facility with no co-payment. Medicare will continue to cover up to a maximum of 100 days in a nursing home, but only with the beneficiary paying a co-payment, which is $167.50 per day at the time of this writing. Some Medigap policies will pay this co-insurance cost for the beneficiary, and the co-insurance costs might be reduced under some Medicare Advantage plans as well. After the 100-day coverage within a benefit period has expired, then Medicare will stop paying for skilled nursing care entirely. Many people who require long-term care services would prefer to receive them at home or in the community, which Medicare would not assist with. Many people who do require skilled nursing care in a facility are either unable to afford the Medicare co-payment for this coverage, or must stay for longer than 100 days in a skilled nursing facility, which makes Medicare insufficient to cover their needs. Given the fact that Medicare coverage for long-term care is so limited, Medicare beneficiaries should explore all other options for long-term care coverage. 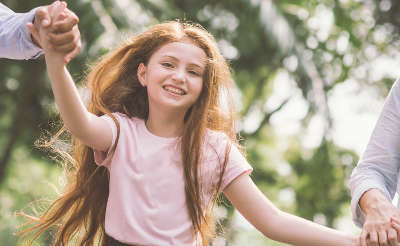 These options include a variety of private insurance options, such as traditional long-term care insurance and life insurance with long-term care riders. However, coverage under those policies may not be available depending upon the age and health of the applicant. Many investments, such as annuities, can also provide the necessary cash flow to pay for long-term care. In large part, however, many people on fixed incomes will need to relay upon a benefit program, such as a veteran’s pension or Medicaid to cover the types of services they need. Medicaid is a social health insurance program, much like Medicare, that was authorized by the Social Security Act in 1965. Each state has is own Medicaid program that is jointly funded by that state and the federal government. Each state exercises a significant amount of authority over its own Medicaid program. While federal law and regulations lay out a general framework, each state has discretion to decide what individuals will be covered by Medicaid and what services will be provided. Being eligible for Medicaid usually requires that an individual fall within a certain “category”, such as being a pregnant mother or being over the age of 65. Most categories of Medicaid eligibility also have strict income and asset limitations. Medicaid coverage for long-term care services, both in facilities and an individual’s home or community, also have level of care requirements. How do you Qualify for Medicaid Coverage? Many people who require long-term care services face a dilemma. They do not have sufficient assets to pay privately for the services require for the amount of time they will need them. Unfortunately, they also have too many assets to qualify for Medicaid coverage for their long-term care at the present time. Without knowing any other option, many people simply spend down their excess assets towards their long-term care until they do qualify for Medicaid. In many cases, however, Medicaid coverage can be obtained while still preserving a significant portion of an individual’s assets through proper planning. This planning must be undertaken carefully, though, to avoid potential problems. A portion of our practice at Sperr Law Offices is devoted to undertaking this planning process with our clients. Is it Legal to Plan for Medicaid Eligibility? Many people are surprised to learn that, through proper planning, they can qualify for Medicaid coverage for long-term care while still preserving a significant portion of their assets. Some people are dubious about this sort of planning because they think it’s “too good to be true.” Without reservation, we can assure you that the Medicaid planning our office provides is a perfectly legal form of asset protection and complies with every rule of the Medicaid program. We encourage anyone who is facing the prospect of long-term care to speak with us and learn their options for coverage, as well as the associated risks and opportunities.